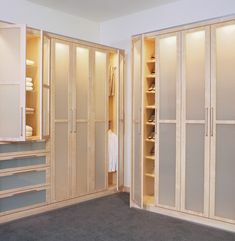 The finish for this custom storage project, chosen in Park Ridge, Illinois, by Chicagoland Home Products and its client, is named Rain Cloud, and it brings showers of custom storage solutions. 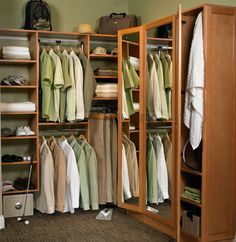 Round brushed chrome rods will allow full length and half height hanging and provide a cascade of storage space to hang clothing, wrinkle free, with easy access. 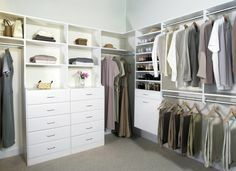 Hampers are strategically positioned to hold clothing, by the bucketful, neatly and out-of-sight. 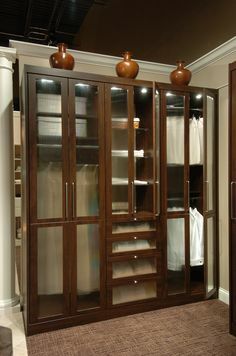 Everything from flip flops to tall boots can be accommodated on the two stacks of shelves provided for shoe storage and keep you from drowning in a flood of footwear. 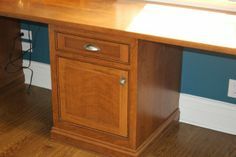 The ample supply of open shelves make life easier and the two drawer banks hide the things you want hidden. 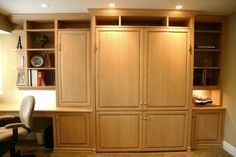 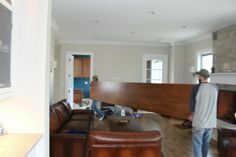 All around the Chicago area, Chicagoland Home Products brings a flood of custom solutions for closets, basements, garages, children’s rooms, kitchens and areas where you might not have even thought about improving storage. 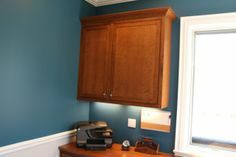 Call 877-389-5500, chat or email to discover what the forecast might be to make your home more efficient and aesthetically pleasing.